So I launched it on to the market in January 1982. But before that of course, I wrote it. I bought a Video Genie to write it on. 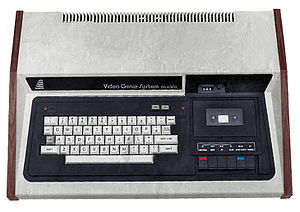 The Video Genie was a Tandy TRS80 clone. The computer Football Manager was written on. It was cheaper, but still expensive for me at the time. But, I believed that I would be successful with the game. Overall it was about a year of writing the game. The game had its roots in many board game versions I had written, but at this time I was a professional computer programmer by day, so I knew what I was doing on the Video Genie. I chose to use the built in Basic because it was much better suited to a strategy game than the limitations of Assembler. Just before going to launch, the ZX81 came out, and I realised the potential market it was creating with its low price, so I converted the game to run on the ZX81 too. That, was a very worthwhile decision!! 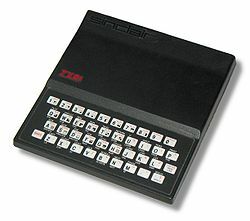 – The sales on the ZX81 proved to be 100 times what they were on the TRS80/Video Genie. If I had only launched on that, the whole thing would not have got off the ground as I would have lost money on every advert placed. So the ZX81 was critical to the early success. Next post30 years on – the new Football Manager type game from me.